Shopping centres need to shift consumers from functional focus to its recreational value, given the emerging competition from e-commerce. 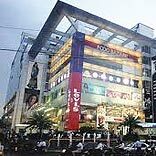 Shopping malls have been at the forefront of urbanisation in India and other key emerging countries. In the case of India their were only three shopping malls with a total retail space of one lakh sq ft in 2000, and the capacity in the organised sector is expected to reach 100 million sq ft shortly. And, clearly modern retail has grown in this country, given the ease of shopping and an array of services, including food and beverage, and other entertainment options. In contrast, the growth prospects for this sector in mature markets like the US and UK, are not that rosy. For instance, according to a recent analysis, sales per square foot for UK-based retailers will fall between 25-50 per cent over the next 20 years, with the e-retailing industry expected to grow aggressively. According to a recent research by Morgan Stanley, the online retail segment is expected to grow four times faster than traditional retail, and e-commerce has already become a $ 1 trillion market globally. In addition, online categories like fashion and consumer durables have clearly established themselves, but in the case of grocery products there is still some resistance to online purchases. As a result, well established brands like Barnes & Noble have already closed their brick and mortar stores, and with fewer shoppers visiting malls, its impact on the broader shopping centres would be clearly visible, over the next few years. In India, too, the growth of digital and online shopping will pose similar challenges for shopping malls. Apart from that, organised retail needs to stay competitive vis-à-vis their unorganized counterpart in terms of costs and personalised services offered to consumers. As part of the above, developers of shopping malls should attempt to position their facilities as a ‘desired’ destination; for recreation, entertainment, dining and shopping. As consumers can easily acquire goods for daily use from various channels, they would need a strong reason to ‘go shopping’ at a mall; and it would be necessary to shift mall shoppers from a ‘functional’ focus to its ‘recreational’ value. This trend is already visible in western economies, where a trip to the nearest Westfield shopping mall in London, is considered to be a ‘family day out’. Most Indian mall owners use ERP for their transactional activities, however, in areas like energy management, security and cleaning, which constitute almost 50 per cent of occupancy cost; and a large proportion of mall managements have not adopted technology solutions. In addition, in the area of security and surveillance, there are several malls which don’t use anything beyond basic security systems, such as smoke detectors and sprinklers. However, premium malls are an exception. Apart from that, most Indian shopping malls have a very limited focus on gaining customer insights, whether it is related to customer tracking, sales data analytics, loyalty management and customer focused promotion planning, amongst other aspects. And, while malls with reputed managements may have already started tracking these aspects, coupled with utilising digital and social media for promotional activities, but it is still only a miniscule part of the broader sector. The business model for shopping malls has evolved from a fixed cost model to revenue sharing; and mall developers need to evolve simply beyond real estate developers, to those making additional revenues from operations and maintenance. Also, tenants at malls expect a range of additional services to be offered at shopping centres, in a bid to stay ahead of competition. Clearly, the combined impact of competition from unorganised players, coupled with the rapid growth of e-commerce will force mall developers to transform themselves into a wide range service provider, and also leverage technology to achieve that objective.